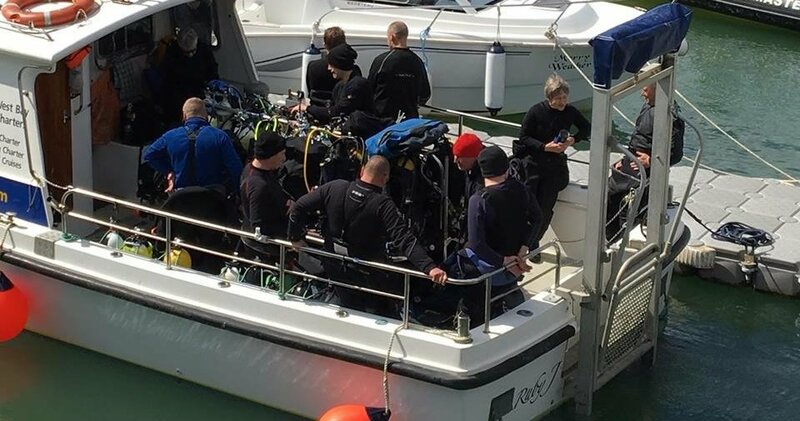 Ideally positioned along the middle of Lyme Bay’s coastline, West Bay has access to over 60 known wrecks and many superb reef and drift dives with an abundance of incredibly diverse marine life. West Bay Charters is available for hire for West Bay Fishing / Sea Angling Trips, Sight Seeing, Private Occasions and West Bay Diving throughout the year. 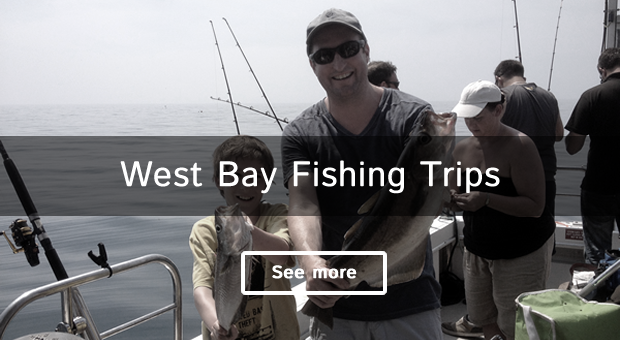 West Bay Charters will guarantee to give everyone a day to remember whether you are fishing, diving or just want to hire the boat. We will make everyone feel at ease and welcome with refreshments and helpful advice. Ruby J, a Vigilante 33, is moored at West Bay, Bridport, Dorset. The 420hp Caterpillar engine allows her a cruising speed of 14 knots (with a top speed of 21 knots) which allows us to get you to the marks quicker than most other boats so you spend more time fishing. The boat feels big for its 10.5m length and the wide beam makes the cabin seem enormous. The large deck area provides plenty of room for its 12 passengers with a dry cubby area with access to the single marine head (toilet). 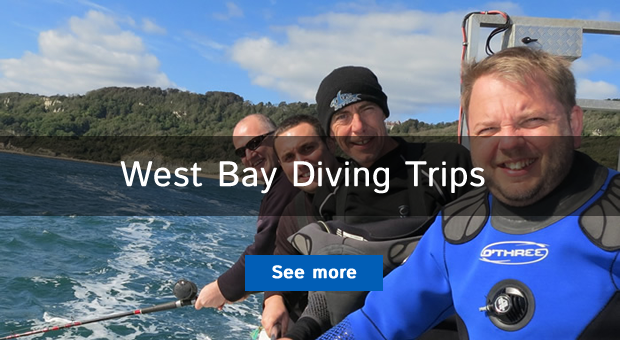 She carries all the latest electronic navigation and wreck finding equipment including large colour chart plotter, radar, VHF/DSC radio, colour depth sounder and side scan sonar. Neil is the full time skipper of Ruby J and has been with Keith since since he first started commercial operations. 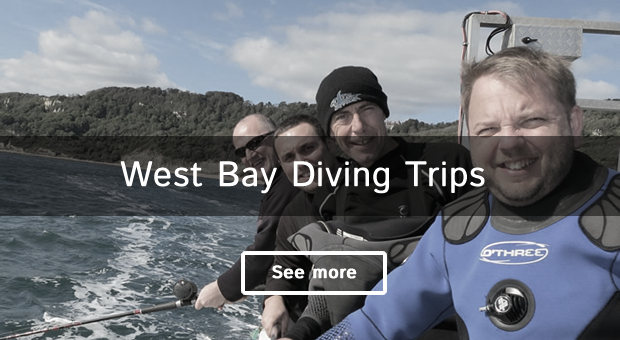 Neil is a passionate and experienced angler and also an experienced diver. Neil (AKA Slim) is a qualified skipper, holding RYA Yacht Master®, International Certificate of Competence and RYA/MCA commercially endorsed. Tony, spent 10 years in the Royal Navy, he is a qualified Dive Master and makes a great cup of tea. A very useful member of the crew. Any pair will provide an excellent service, making sure their customers are well looked after, whether feeding them angling tips, hot drinks or that very special sort of banter that only Dorset can supply!